Canterbury Museum is now the proud home of the world’s oldest penguin fossil and the world’s most complete specimen of any bird (also a penguin) that lived during the 10 million years following the extinction of the dinosaurs. 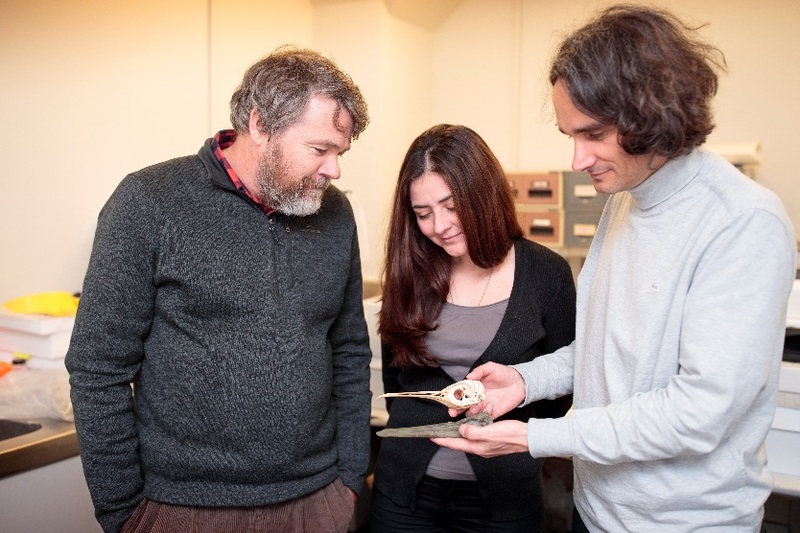 Left to Right: Dr Paul Scofield, Dr Vanesa De Pietri and Dr Gerald Mayr with the skull of Rosie’s Penguin. The story of Rosie’s Penguin is published in the Journal of Vertebrate Paleontology by Dr Gerald Mayr of the Senckenberg Research Institute in Frankfurt, Dr Paul Scofield Senior Curator Natural History Canterbury Museum, Dr Vanesa De Pietri Research Curator Natural History Canterbury Museum and fossil collectors Leigh Love and Al Mannering. Rosie’s Penguin comprises an almost complete skeleton, missing only its feet and a few other remains. The specimen was recovered from greensand rocks near Waipara by Leigh Love and Al Mannering in May 2015. This region has yielded a number of fossil remains over the years. Rosie’s Penguin owes its name to the late wife of the land owner of the farm on which the Waipara Greensand is exposed. The diversity of penguins recovered from the Waipara region includes the 1.5 metre tall, recently-discovered Waipara giant penguin that is yet to be named. 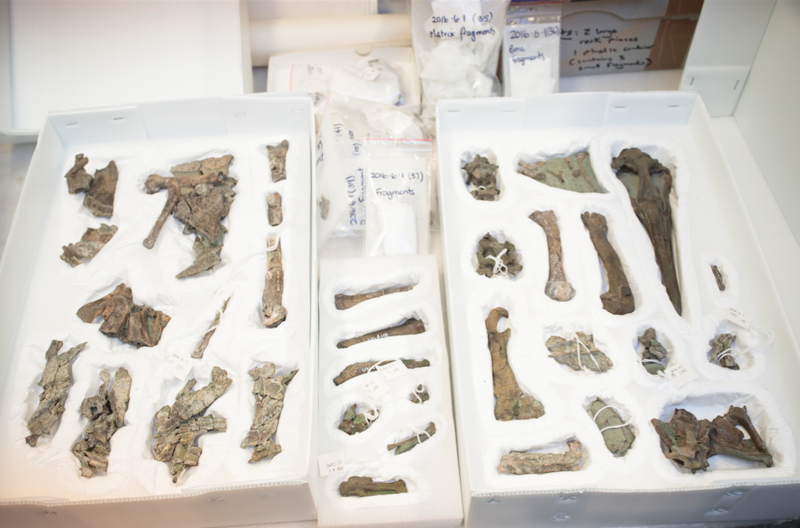 Excluding one specimen of Waipara Penguin, all of these early penguin fossils are housed at Canterbury Museum. Dr De Pietri adds, “Following the impact of a large asteroid 66 million years ago, birds were able to conquer a vast array of habitats left vacant by the demise of dinosaurs and other land and aquatic vertebrates. Through the fossil record, we know that New Zealand played a significant role in the early evolution of modern birds, especially amongst penguins, during the ten million years that followed the extinction of the dinosaurs. Image: Rosie’s Penguin in storage at Canterbury Museum. You can see the CT scanned skull online here.